I have given these pocket daters to people for about the last five years. Each person who gets one just loves it. Every year I buy one for myself and my daughter. She looks forward to this because she schedules people to work at my store and this enables her to write down who needs what day off. I like it because I have many appointments to write plus I personalize each of them and it is such a nice gift to my daughter and myself! I have purchased this calendar for almost 10 years! In spite of technology it the perfect way to see ALL your event for months. My husband switched from his iPhone calendar to this one. Sometimes the simple things work best. This is great to keep track of my hours and my side jobs. Small enough that I can carry it in my pocket and have it handy. Perfect monthly pocket calendar. Love that they can be personalized. Wish I would've seen this earlier. I plan on ordering more next year for gifts. I will order another when the next year comes up. I purchased the pocket calendar for my husband, so he can keep track of his schedule. He really likes that his name is on the cover. I am certain everyone I bought one for will be very pleased they are my family my church..
Couldn't be without it, I call it my "Brain" because I write everything in it. Yes, I like this product. I have ordered them for years. They are great for your handbag or to put by your table to keep up with dates. Calendar is great. The only thing that would make it better is if it were available for 2 years. I have used this pocket organizer for years and have kept the inserts, when the timeframe is over, because it is handy to have a look-back for regularly scheduled appointments/events. Handy size. Names looked great! This is the perfect gift for my 80+year old dad. I had it personalized with a personal message, which he loved. He doesn't use the internet etc, so the personalization of this calendar made him so happy, making it more than worth the price!! I bought one for me several years ago and I love it. I have two best friends and I bought them each one for Christmas! I've been using this particular pocket dater for MANY, MANY years because, although I've looked, it is the simply the best I could ever find. Without being bulky or too large, it has enough room in the date boxes, and an adequate amount of space below the calendar to write what you wish. It is almost like a journal for me because I save each year's pocket dater and can go back oh so many years and know exactly what I did and where I went on any date in time. I only wish it came in more colors to add variety to my selection, and having the year on the front of the plastic cover would be nice as well. I count on Miles Kimball to carry this product each and every year. Thank you! I'm an early Christmas shopper - especially stocking stuffers! Got 4 of these - all personalized - and was delighted to see the nice quality. GREAT gift idea, for anyone!! Great gift for anyone. The personalization makes it special. For any active person, or the Senior with lots of appointments, this is a low-tech way to keep you on schedule and in contact with your friends and family. Slim design is perfect for pocket or purse, and you won't have to fight with your I-phone's technology! Personalization, and a variety of colors makes it yours. I would refer the personalized pocket dater to everyone. Looks great with name. Perfect for appointments, errands, and any other reminders. Keeps information very organized. I got one for myself and also for my sisters and my husbands brothers ! GREAT little gift! I am disabled and lots of Dr appointments this calendar is great for my purse! It's perfect for the purse, sturdy and it keeps all my info right with me. If you are a paper and pen person then this is for you. Without the cover it would look ragged at the end of the year. This is the perfect size to keep my personal appointments along with my working business dates. The spaces are large enough to easily record more than one meeting per day yet iit is samll enough to fit in my purse. Thanks for the great product. I order these year after year. Great little calendar! Good quality. I ORDERED ONE FOR MY HUSBAND AND SON. I LIKED THEM SO MUCH I ORDERED ME ONE!!!! YOU CAN ALSO GET REFILLS FOR THEM!!!! Exactly as described, neatly personalized as requested, arrived quickly. Part of a Christmas gift for a friend who is a Home Health Aide to keep up with reminders and her appointments. I received this as a Christmas present in 2008 and have loved getting it every year. It's light weight and lots of room to write information on the calendar etc. I look forward to getting this every year. Now I give them as presents. My husband and I both need a pocket calendar book each year. Sometimes we cannot find a convenient size at our office supply stores at the end of the year. Or, we buy identical books and pick up each other's calendar during the year. This one is personalized with our names and the covers are different colors. Very nice product. a token gift for my aide at Christmas. I'll hide a check in it. Calendar fits inside pocketbook and is a great organizational tool. 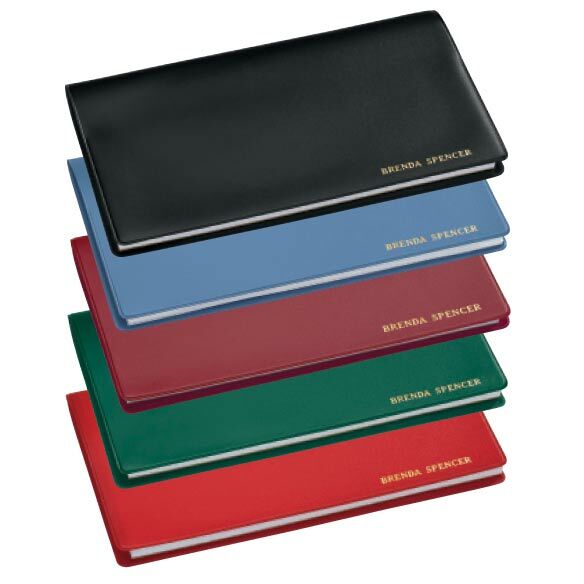 It is compact and has writing space for each date. Black without personalization - perfect for my dad! Happy with this product and would order it again. I got this for my Mom and she was delighted. She said it was perfect to write her appointments down. The blank note pages are a great bonus. I have used this calendar for years. I wouldn't use any other one. It is lightweight and fits on your purse. Professional looking, easy to read, room to write. Helps me keep track of all my appointments! You get your money worth. 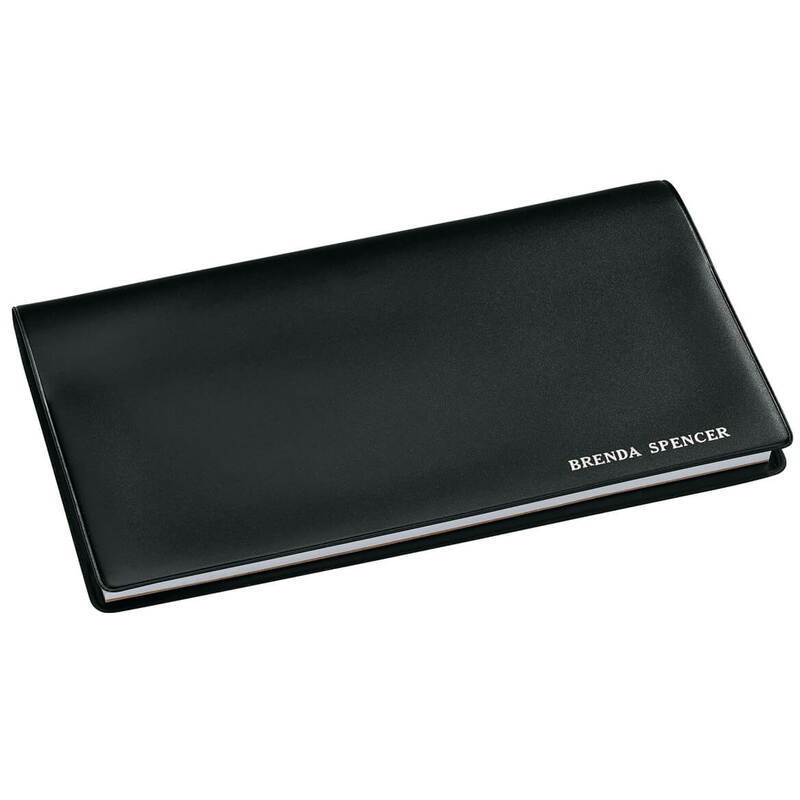 This planner is great for the price and I will used this product for my daily appt. These pocket daters are great. I use this for all my oppointments both for me and my familey. I truly like the size of the dater mainly because it will fit in my shirt pocket so its always with me. See-Line Company went out of business. This was the closest I could find to what I wanted. This item was purchased for my hubby to keep track of his hours and side jobs. It's small enough for him to put in his pocket when he's on the go. Gave them as Christmas gifts last year and everybody loved them. My husband loves your personalized pocket calendars. I use these every year....so handy, fits right in the purse. Because it could be personalized! I need, at my age, written proof that I have appointments to keep and which day to keep them on. I like to have these with me so I know if I have appointments coming up. Something extra by being personalized. Because I didn’t like your other pocket dater. For a very organized friend. Because it helps to keep track of appts and other important dates, especially when you've aged, just turned 73 years old. I had this calendar before and I really liked it because it keeps three years worth of information together. I have used this item for years. It is nice to have a calendar handy for keeping track of errands, etc. I thought these were personalized but there didn’t seem to be an area to include the names I wanted on them. I have a bunch of retired ladies I eat lunch with once a month. We call our ladies the social butterflies and we are old school like to write things in pocket calendars. I only want a calendar for one year, not two! I want only a one year calendar--most are two year. I like to keep track of my bills, when their due, amount, when I paid them and confirmation numbers are just a glance away. I ordered one for every adult member on my Christmas list. They look handsome and are personlized which adds to the looks with no extra charge. They are inexpensive which is great on my limited budget. I really like these. There is enough space on each day to write appts 'ect on. What years does this over?? Is it 2016-2018? BEST ANSWER: Thank you for your question. This pocket dater is for 2016.We hope this information will be of help to you. Is this a two-year for 2016-2017? BEST ANSWER: Yes it is. It' is for 2016 and 2017. Is this a 2016 & 2017 Calendar? BEST ANSWER: Thank you for your question. 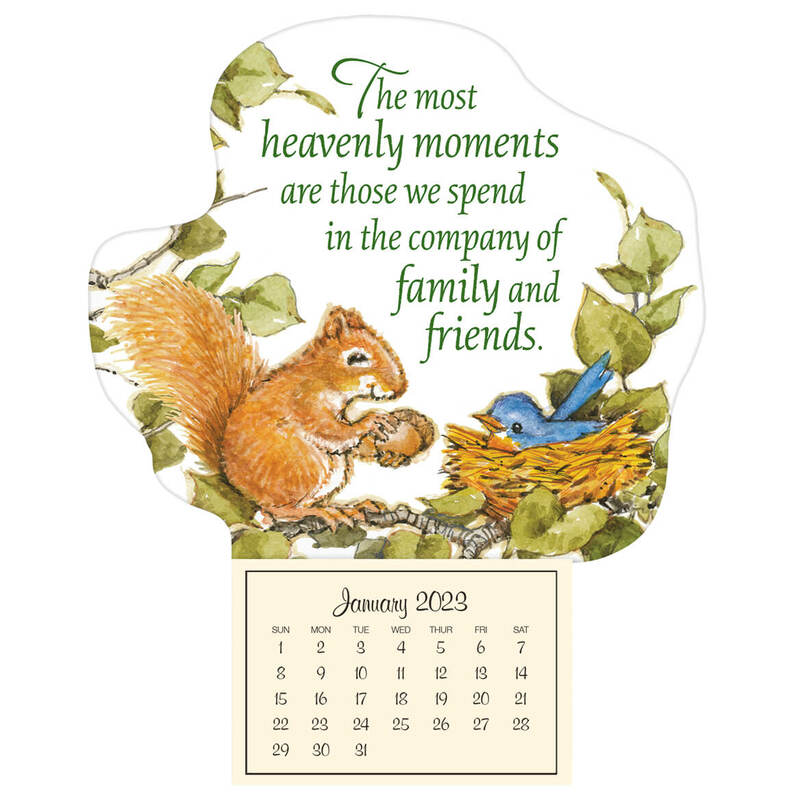 The Pocket Calendar is a one year calendar that is currently being offer for the 2016 calendar year. We hope this information will be of help to you. Does it come with a pad? Does it have a plastic cover to keep your place? 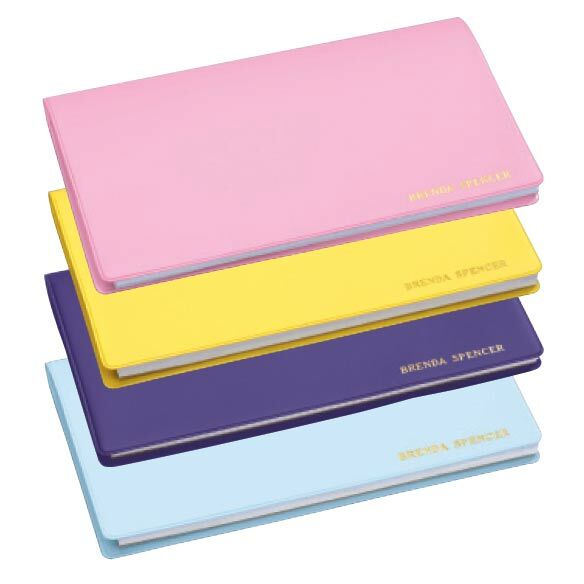 BEST ANSWER: The two-year calendar comes with a plastic "cover" of the color you choose. In addition to the calendar there is also a separate note pad if you want to write something down, draw something, etc. There is no provision to "keep your place" if you want to immediately open it to a specific month. It comes with a pad. It does not have a plastic cover to use as a marker. Is this a two-year pocket calendar - January 2015 - December 2016? No, it is a one-year pocket calendar. And I much prefer it that way. A two-year calendar just makes my purse that much heavier and does not help me at all. Please continue to keep a one-year pocket calendar available in the future. Thank you very much. Yes, it changed to a two year calendar. It used to be a one year calendar, which I preferred. But now it is a two year calendar. Thank you for your question. The Pocket calendar is for the the 24 months of 2015-2016. We hope this is of help to you. The calendar I bought in Sept 2013 was for all of 2014 and 2015. That's why it's called 2 year calendar. Yes, the pocket calendar I purchased in 2013 is for the entire years of 2014 and 2015. Yes, the one I bought last year was for 2 calendar years. Well, I bought mine for the two-year period 2014 & 2015. IS THIS A 1 YEAR OR 2 YEAR CALENDAR? BEST ANSWER: Thank you for your question. 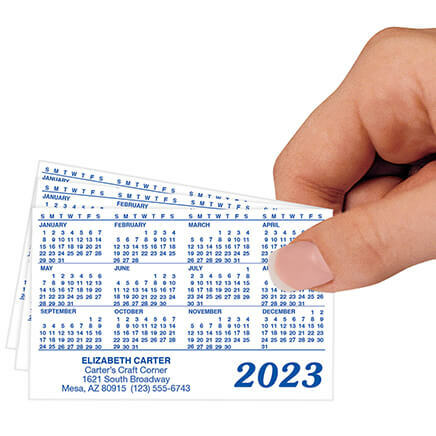 The Personalized Pocket Calendar is for two years. We hope this is of help to you. It is a 2 year calendar and I love it. It's great to look ahead or look back! Is this planner for 2015-2016? BEST ANSWER: Mine is a two year planner but I bought it in Dec. 2013 so it was for 2014-2015. I really like it and will probably buy another one at the end of December which should then be 2016-2017. I assume that the current one in the catalog would already be for 2016-1017.
this planner is for 2016 one year planner. Last year they were 2 year planners. Some wanted the one year back. Now most of my friends want the 2 year back. Excellent choice for planners.My friends look forward to them every year. Thank you for your question. The Pocket Planner is for 2016-2017. We hope this information will be of help to you. is there a plastic cover? BEST ANSWER: Yes, it has a nice cover. The 1 year one's sold a couple of year's ago were much better, not as bulky and I would buy many every year. Now only need to purchase every other year. Yes, the cover is plastic. It's held up very well and I use it a lot. This will be my second year for this 2-year calendar. The cover itself is a type of plastic but, there is no plastic sleeve. Yes, there is a plastic cover. is this calendar for 2019? BEST ANSWER: Thank you for your question. Yes the calendar is 2019-2020. We hope this information will be of help to you. The calendar I received is a 2 year , 2019 and 2020. BEST ANSWER: Thank you for your question. Yes the pocket dater does have 2018 as the year. We hope this information will be of help to you. I bought one a few years ago. I imagine the ones they're selling now are for 2018.
is this the 2017 calendar? BEST ANSWER: Yes, this is a 2017 calendar. I love it and only get this one evert year. Yes, this is a 2017 calendar. yes.it is a great calendar. BEST ANSWER: Thank you for your question. Unfortunately, this item has sold out for this season. We suggest checking back regarding this item next July for calendars dated 2017. We hope this information will be of help to you. I wouldn't know what to do if I didn't have one in my purse. I have been using them for years. I keep all of my appointments and birthdays etc. all mark down. Get one you will love it. Yes, there are refills for the pocket calendar. I get 2 year calendars and have for years. Does this come with a section for addresses and phone numbers? BEST ANSWER: Thank you for your question. 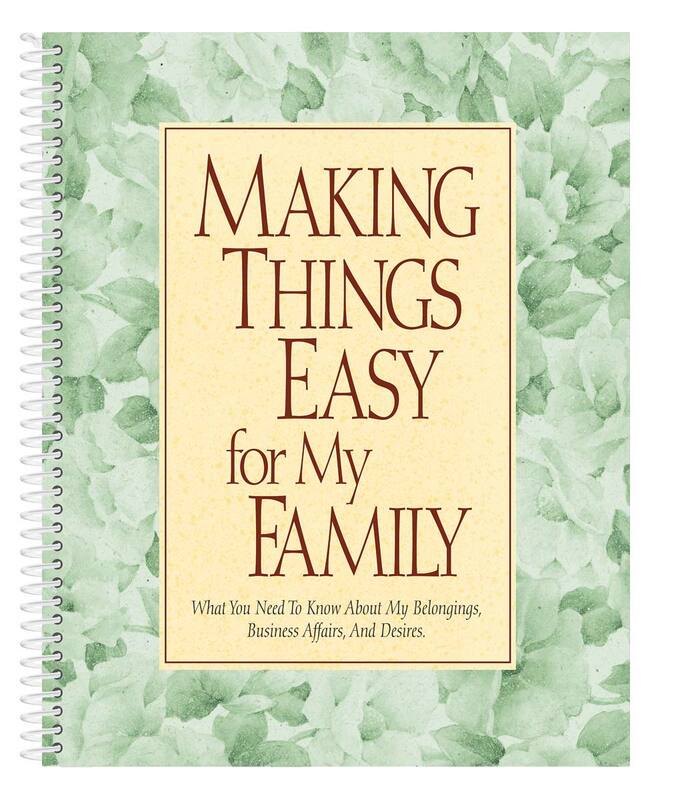 There is not a section included but you can order address books separately. We hope this information will be of help to you. 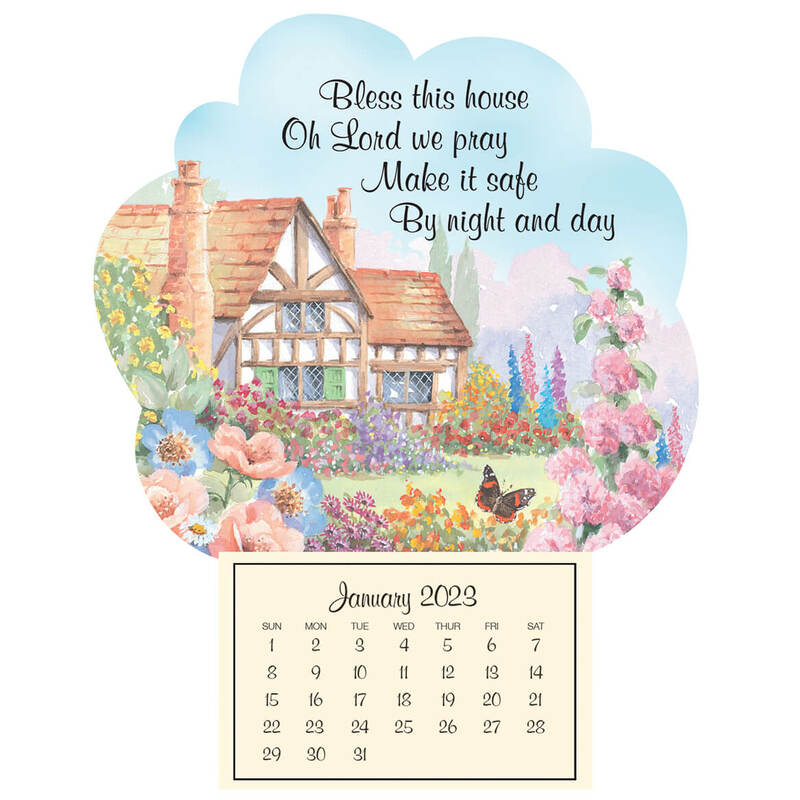 can the personalization cover be used again on the following years calendars? Does the one year pocket calendar come with a plastic cover? is items 310933 1 year pocket calendar still available to order? BEST ANSWER: Thank you for your question. The one year calendar is no longer available. We hope this information will be of help to you. Do you carry RFID credit card sleeves? BEST ANSWER: Thank you for your question. Please see the link below. We hope this information will be of help to you. do you have 2017-2019 yet? BEST ANSWER: Thank you for your question. Our two year planners are for 2017 and 2018. We hope this information will be of help to you. are you selling 2018 pocket daters? BEST ANSWER: Thank you for your question. At this time the dater is only for 2017. We hope this information will be of help to you. BEST ANSWER: Thank you for your question. This is a seasonal item and will be back in stock next year. We hope this information will be of help to you. Calendar is supposed to be available in green but I can't select that color? BEST ANSWER: Thank you for your question. At this time the green Pocket Dater is not available. We hope this information will be of help to you. 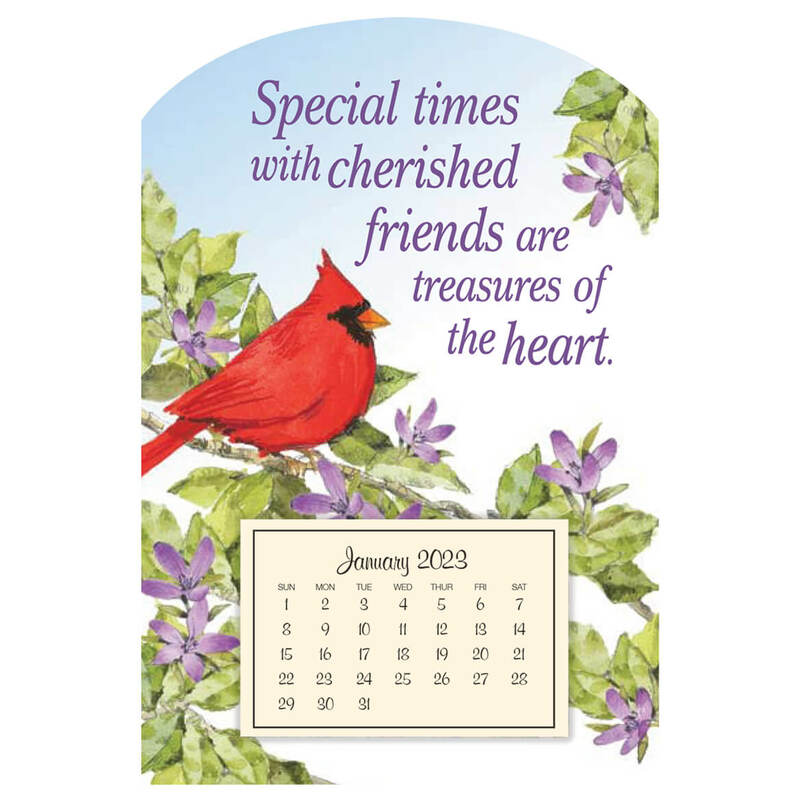 Cute mini magnetic calendar with cardinal offers a quick glance at each month of the year. 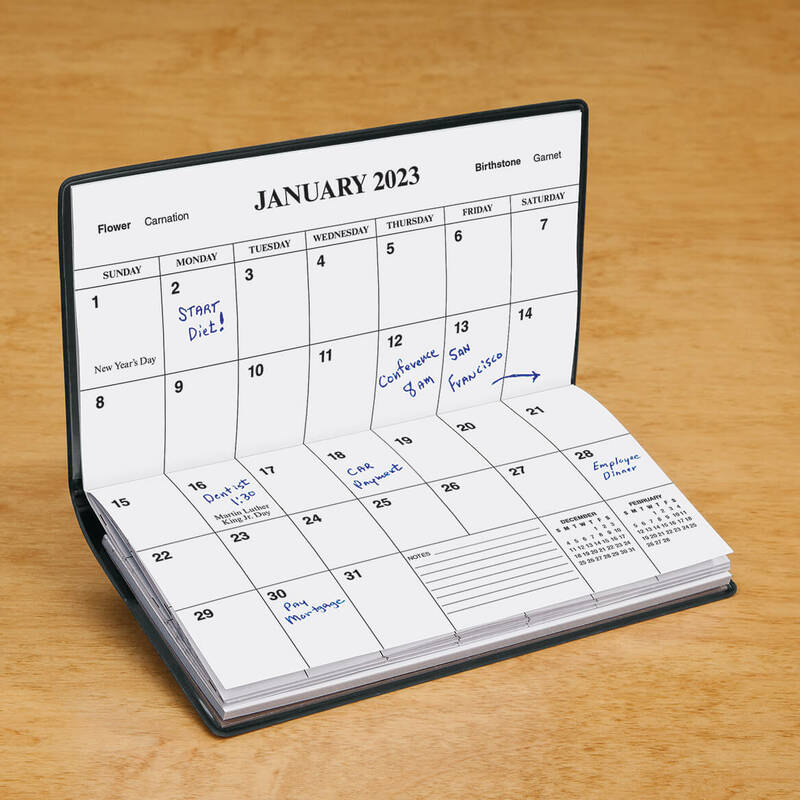 Mini magnetic calendar takes up little room on fridge or file cabinet. 4" long x 6" wide.